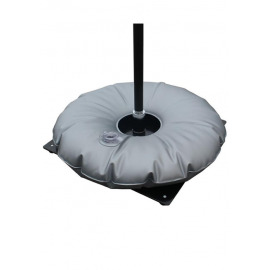 Ground plate 35x35 with water bag (6,3kg / 13,88 lbs) +10 litres. A combination of a ground plate with a water bag. Ground plate is made of steel. 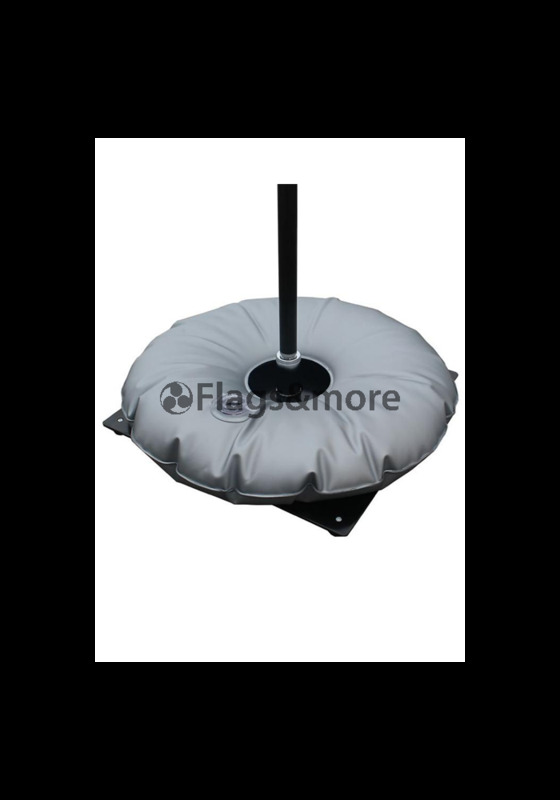 The water bag is used for the additional weight, it can be filled with up to 10 litres of water. 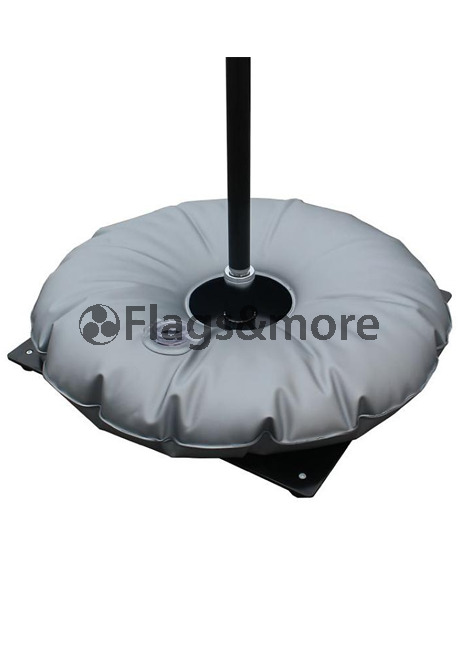 This base ensures stability of your beach flag. 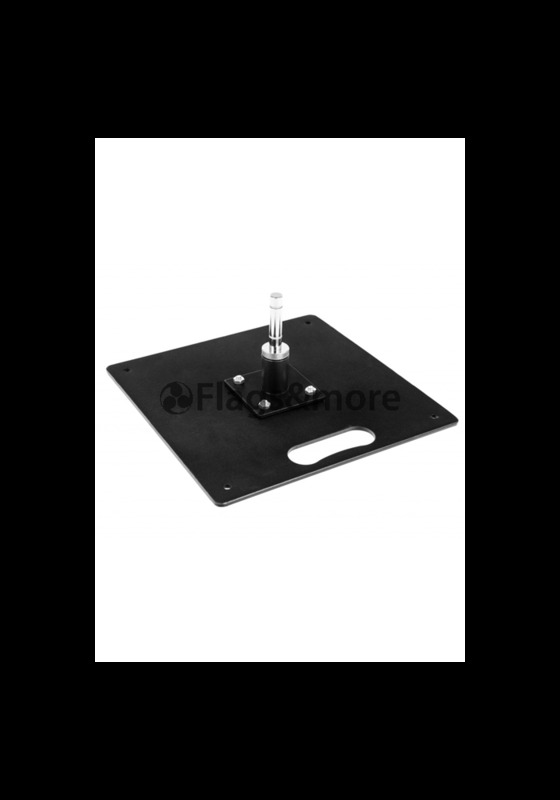 This ground plate is for inside and outside use. Inside it can be used with all sizes, while outside it is used with beach flags of size XS, S, M and L. However, with sizes M and L, we do recommend a water bag, as additional weight during the windy days. 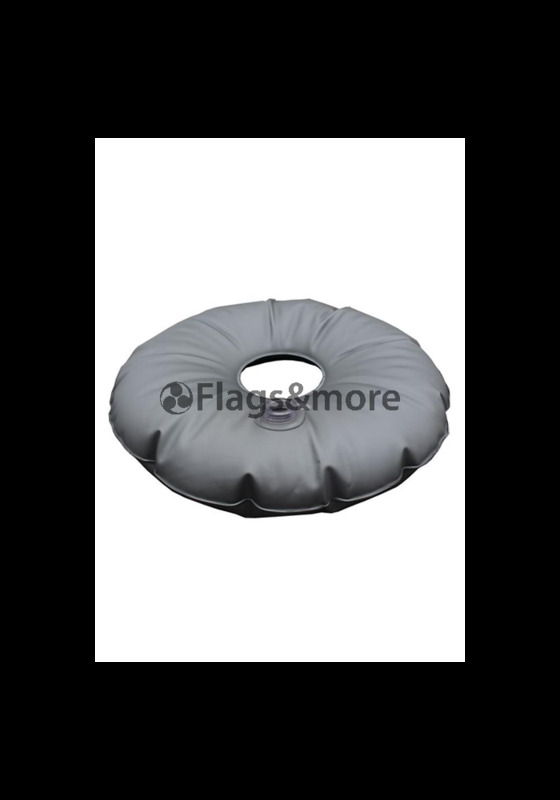 Suitable for Inside it can be used with all sizes, while outside it is used with beach flags of size XS, S, M and L. However, with sizes M and L, we do recommend a water bag, as additional weight.